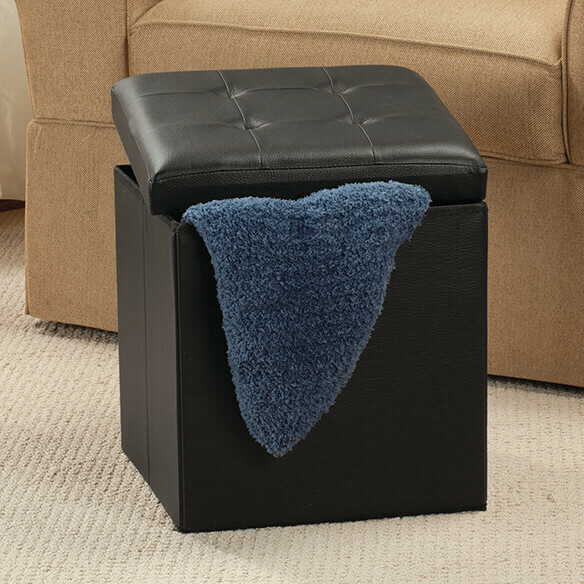 Versatile folding storage ottoman provides sleek storage, extra seating and a comfortable place to rest your feet — all in one stylish piece. 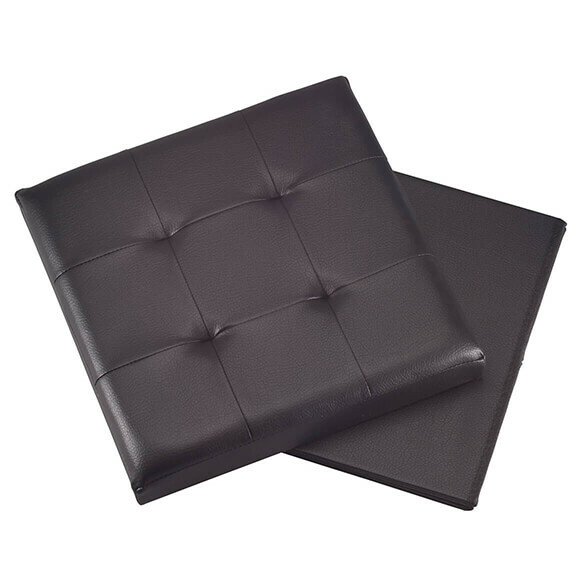 The rich faux leather surface complements any décor, making it perfect for living spaces, bedrooms, home offices and more. In addition to discreet storage, its sturdy design doubles as a table, seat or footrest. 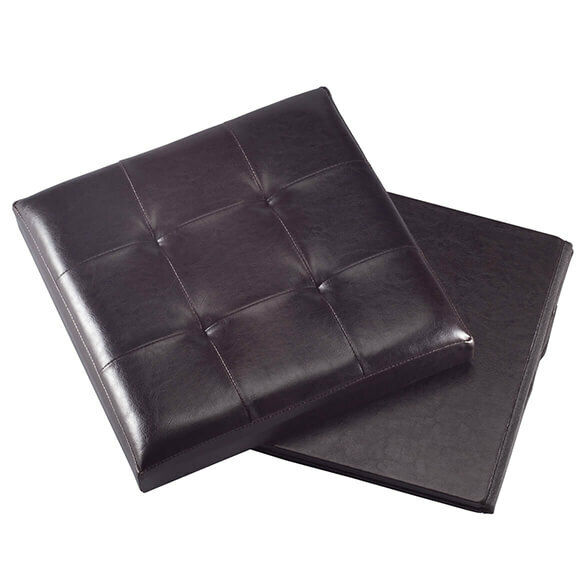 Cube ottoman folds flat inside its lid when not in use. Collapses to just 2 1/2”H for easy storage. Choose from black or espresso. 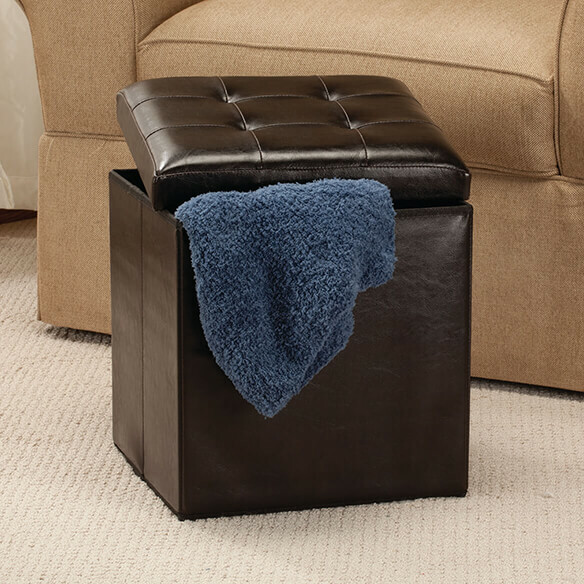 Folding ottoman measures 14”sq. x 15 1/2”H. Durable MDF with faux leather. 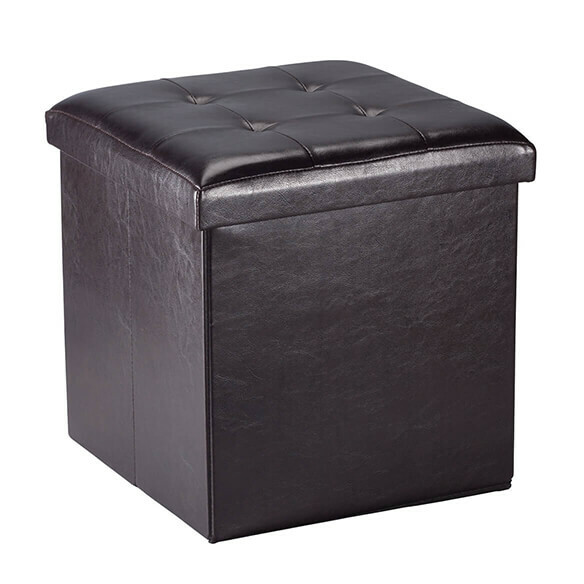 I like the looks of this ottoman and having the storage is a plus. You can fold it flat to store if you need to. Nice sized and seems to hold up. It's the perfect height to use when sitting on my couch. It is great for elevating my feet to help keep the swelling down. It comes in handy as an extra seat if needed. I also love the having the storage space. Buying for my 88 year old dad who needs to elevate his feet. The storage will be a plus since he lives in a small apartment. Pleased with a double sized that I have, but needed a smaller size as well. is there any other colors in this item? BEST ANSWER: Thank you for your question. This comes in black or espresso. We hope this information will be of help to you.